With its striking spout and easy to use ceramic handles levers, the Glastonbury range encapsulates both splendour and practicality. 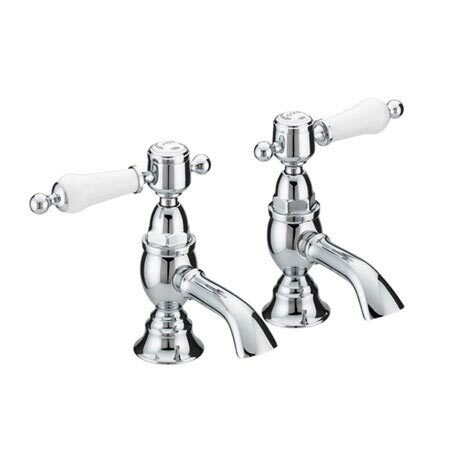 These Basin Pillar Taps are made from chrome plated brass and feature quarter turn levers and a long spout which makes it ideal for use with no taphole insert basins. Comes with a 5 year guarantee covering manufacturing faults. "Elegant good looks and quality, easy to use handles."